We’ve barely got the Black Friday madness out of the way and now we’re into Cyber Monday! Traditionally the first Monday after Black Friday, ‘Cyber Monday’ is the day that online retailers try to persuade customers to shop online, and Apple is no different. 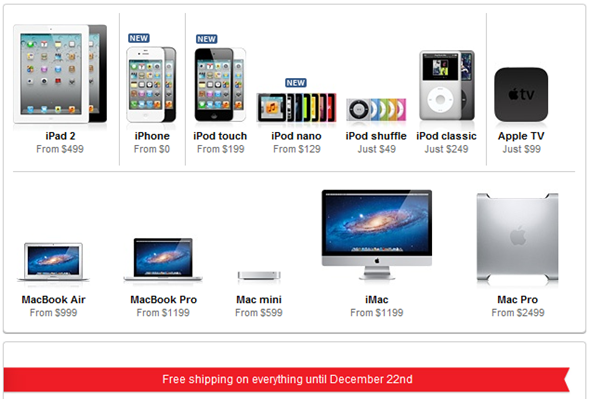 Starting today, Apple’s US online store is offering free shipping on all orders up to December the 22nd, with the UK and Canadian stores also offering free shipping of purchases, though apparently only for today. The shipping promotion comes just a few short days since Apple’s Black Friday discounts which saw the company hit sales records across the board, with the company’s brick and mortar stores doing a roaring trade thanks to discounts on iPads, iPods and accessories. Apple is not usually one for offering discounts throughout the year, safe in the knowledge that they seem able to sell their entire range at its RRP with no problem. The Black Friday sales are just an added incentive for many, and it usually works. Alongside the free shipping offer, Apple has also now begun its offering its yearly gift wrapping service, which allows customers to order gifts for friends and family and have them arrive pre-wrapped in typical Apple style. Apple is expected to see this Christmas be its best yet, with sales of its products looking strong across all ranges. 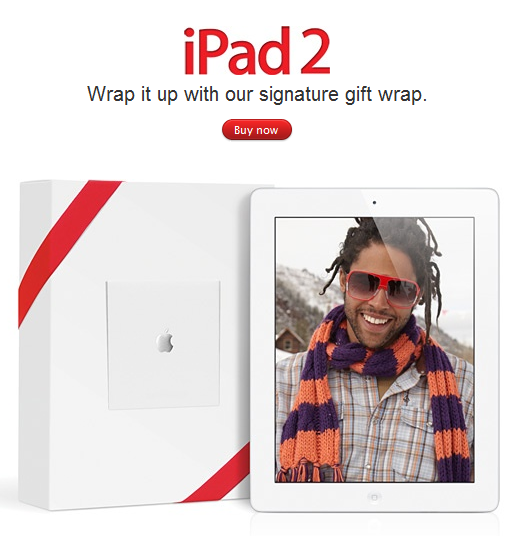 Research has already shown that the iPad is proving popular amongst the wishlists of children and adults alike, and the iPad 2 is almost certainly going to be one of the best selling items in the Apple Store this holiday season. With three iPhones now being offered, Apple is also expected to see plenty of its smartphones fly off the shelves this year, too. The iPhone 3GS is an enticing option for those on a budget, and with the iPhone 4 still an extremely attractive option Apple may have the market sewn up. Throw the premium iPhone 4S into the mix and Apple now offers an iPhone for everyone. One things for sure. If you’re an Apple shareholder this Christmas it’s fair to say your company is going to have a good Holiday this time around. Just like it does every year! Head over to this link and start shipping your goodies for free now!